Oh boy, realized too late that someone forgot to press publish. Guess it’s a Fantastic Saturday! Let’s Doooo this! Can I get a what what, it’s FRRRIIIDAAAY! Which means it’s time for What I Wore Fantastic Fridays. After thoughtful consideration, I decided to nix the “boyfriend prediction” part of the Fantastic Fridays. Last week’s prediction was the last. Not because I’m a sore loser, rather there doesn’t seem to be enough interest. The boyfriend comments, however, will continue to be reported as long as he has some type of reaction. Final Score: Wow, right on. The FINAL score is 9 for 14. Given that this is the last week, I'd say the Final Score isn't bad considering the judge awarded two points with a Vegas inspired outfit. We are having dinner tonight and thought it would be nice to pick out something a bit ‘classy.’ It is not an anniversary weekend and we’re not celebrating anything, just for randomness. Plus I don’t know about other ladies but dresses are way easier than putting on multiple layers and matching everything. Oh and the dress is mostly black and white and ya’ll know it’s my favorite. The hair do is just rolling up my hair and sticking some flowers on the ends. 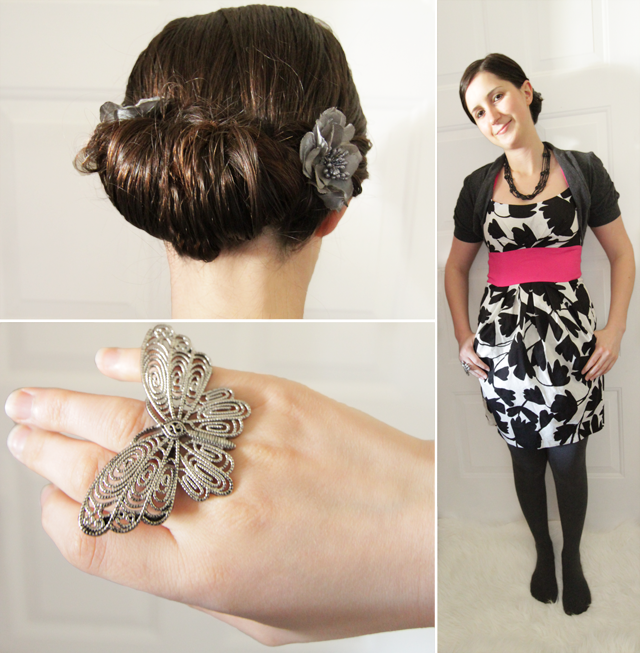 The butterfly was thrown in since the dress has a flower vibe and the flowers in the hair. A black necklace- not entirely sure it matches with everything else but I'm not a fan a plain and open neckline. 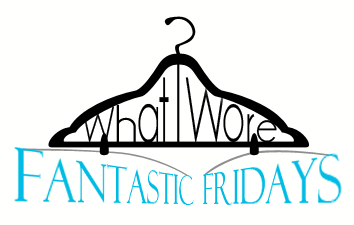 And that is this week’s What I wore- Fantastic Friday. Hope ya’ll have a Fantastic Friday and a Whoopie Goldberg weekend (just checking to see if you were paying attention).